In any case, I only recently learned of another of Nadar’s curious achievements: Crowd control. During a trip to Brussels for a flight in his famed balloon Le Géant, Nadar devised a kind of portable barricade (essentially not different from the familiar one pictured above) to maintain order on the ground as he pursued his aerial craft. 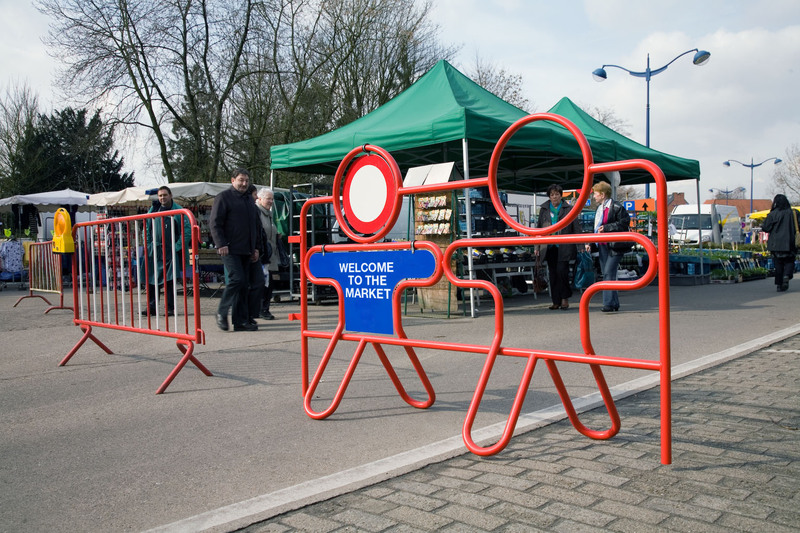 Even today, these interlocking metal barricades — which now appear in city after city, lining the routes of marathons, keeping protesters at bay, blocking off streets — are known as “Nadars” in Belgium. Appropriate, then, that Kris Peeters, a “mobility consultant” with the city of Antwerp, teaming up with the designer Hans De Cuyper, should have thought it high time that the “Nadar” was revisited. As he put it to me, they wanted to rethink the barricade “as a friendly, pro-child, convenient tool with a self explaining design that does the opposite of the Nadar: instead of pushing away the people (and making them angry because they can’t pass), we make them feel welcome, or at least curious about what is happening on the other side.” And so was created the “Stradar,” the marriage between “street” and “Nadar” (admittedly this name will need some revising in the U.S.). 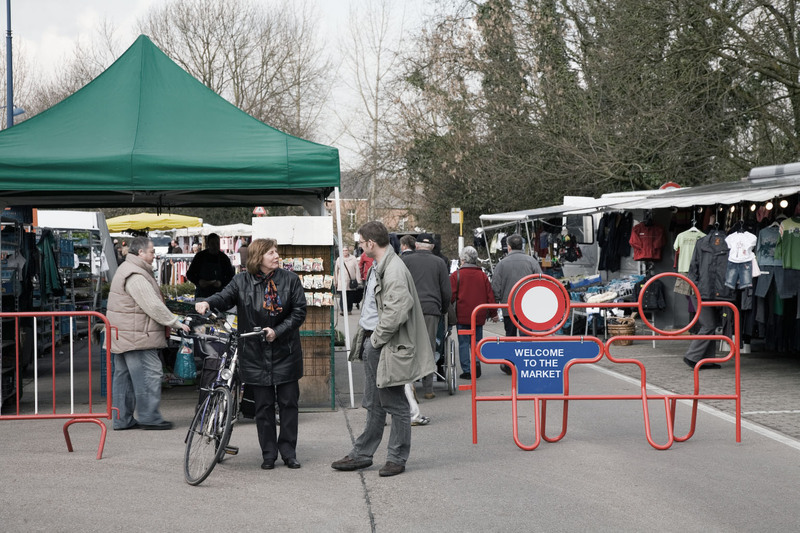 In writing about design and architecture, I’ve been most interested in the humdrum, vernacular sorts of things that are almost invisible, yet no doubt wield an influence on physical spaces and our experience of them. The things that seem the most common, or trivial, perhaps not worth the attention of design, are really what shape people’s lives — not Philippe Starck chairs. 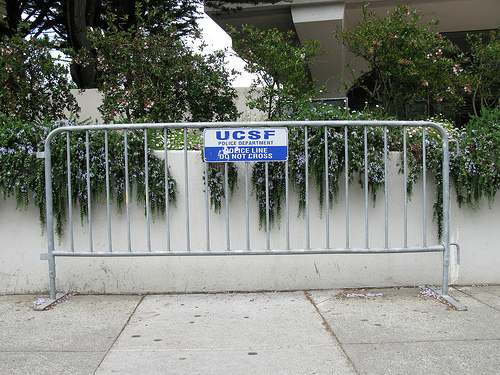 And the “Nadar,” while perhaps functionally useful, is a particularly uninspiring piece of street furniture, loaded with all kinds of negative connotations — e.g., the same thing used to corral mass stadium crowds becomes the device to block off a street for a day’s block party. 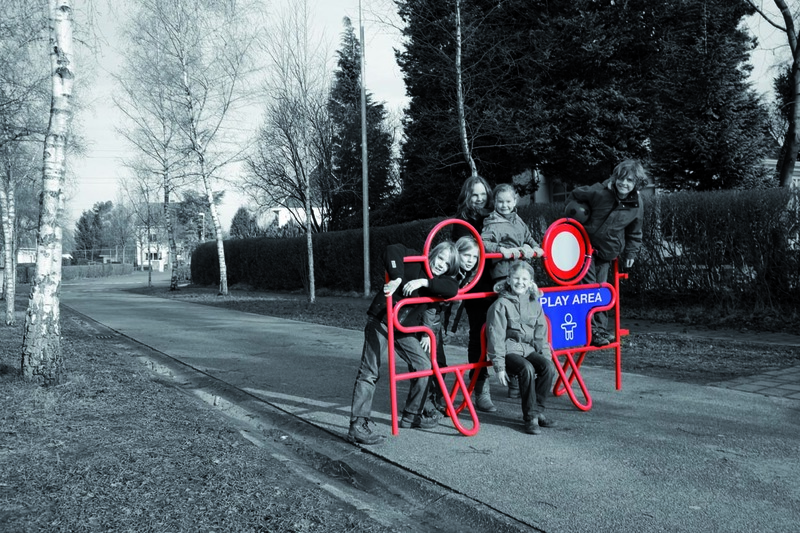 The Stradar, in a sense, is of a piece with the Dutch concept of the woonerf in that it tries to articulate the human nature of a street space through physical design. I even wonder what the representation of people, however abstract, might do in a “Nudge” sort of way to encourage a more positive response when one finds one’s way blocked for some reason. Like the work of David Engwicht, this is about inviting interest (and like my recent post on Daniel Pink, it may even be more “emotionally intelligent”). The Stradar was actually released in the Netherlands and Belgium in January, and as Peeters told me, its appearance has drawn interest and positive remarks from passerby — something you can hardly imagine with the typical Nadar. On their website (linked to above), the pair have posted a list of possible uses; Peeters even mentioned someone who got in touch for “personalized” Stradars for a wedding party, decorated as the bride and groom! If the NYC DOT (or any others) are reading, this seems like the perfect sort of thing for the Summer Streets program, or for the neighborhood block parties in my Brooklyn neighborhood (instead of the blue police “horses” with their hostile “do not cross” mentality). In any case, the designers are looking for feedback (including a new name) for a possible introduction of the idea to the U.S./Canada, so please comment here or at their website. Comments Off on Aux Barricades!. Click here to leave a comment.